We officially concluded the 2017 season this weekend with our award banquet. It’s always great to see my racing family off season. 2017 season was very challenging, but very fun season. I was close enough to be able to see the win, but still had a long way to go. I learned a lot about driving patiently, and yet driving aggressively. Thanks to all my friends who rode with me, or give me a ride. Thanks Jeff Loewe Photography for a great shot! 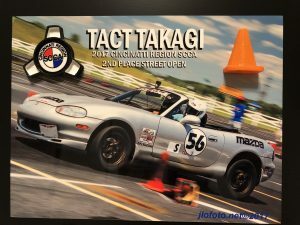 I am so looking forward to meet everyone bright and early at waiver station during autocross, or paddock crewing DFL Racing Spec Miata team.